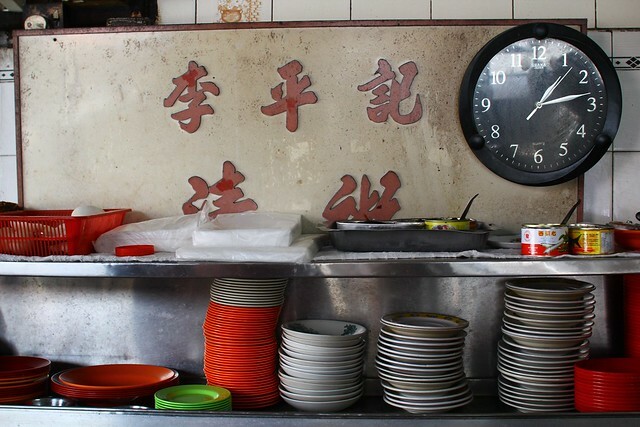 Teochew Porridge Lunch At Lebuh Presgrave (Sa Tiao Lor) – When we talk about Teochew Porridge, it’s actually white waterish porridge with a few small dishes that to be eat with the porridge. This is the Teochew-style. Cantonese-style is porridge that has taste and cook with pork or chicken. Many people like Teochew Porridge because it’s refreshing, it’s affordable and you can pick a variety of dishes. It’s just like eating mixed/economy rice, just that you don’t eat with rice but with white porridge. At Presgrave Street (Lebuh Presgrave), also known as Sa Tiao Lor to the local, there’s a kopitiam that has a Teochew Porridge stall that operates throughout noon to the afternoon. I went to try out last week and it’s pretty good. 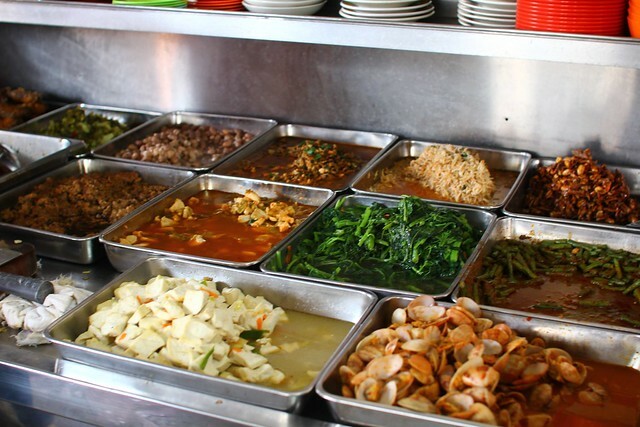 There’s a variety of dishes for you to choose like salted egg, mui choi, fried fish, omelet, vegetable and more. What I like is the porridge which is watery and the rice is soft. Check out the map for the location. It’s located in a coffee shop at the corner of Presgrave Street. At night, the coffee shop sells Hokkien Mee and Char Koay Teow.